Gold has always been considered a safe haven asset. But Bitcoin is exhibiting gold-like properties -- with still higher upside. Gold has always been considered a safe haven asset. Now Bitcoin is appearing to exhibit gold-like properties. Will Bitcoin replace gold as the new safe haven asset? Anti Danilevski, CEO of KICKICO, a Russian blockchain platform for initial coin offerings, explains that during financial difficulties, Bitcoin has already been performing in analogous ways to gold -- representing a calm harbor for investors. "During the last year S&P 500 index was decreased, gold (GLD - Get Report) increased by 14.4%, whereas Bitcoin increased by 74.9%," Danilevski said. "During the last five years, S&P 500 increased by 68.8%, gold decreased by 26.5%, whilst bitcoin grew by an impressive 24.9%." Danilevski believes cryptocurrency is not only a good backup plan, but compared to gold, it grows considerably more in its price with a growing market. Taking into consideration the recent events such as the clash between North Korea and President Trump, we saw gold rise on the back of genuine fear of conflict. "Despite this latest episode of hair pulling which was regarded as the closest threat of war between North Korea and the U.S. since 1994, this spike in gold, although adequate, wasn't mouthwatering," said James Trescothick, senior global strategist at easyMarkets. "Instead it was another asset that appealed to the masses looking for safety." Trescothick said in the past there has been the belief that investors should "put 10% of your wealth into gold and hope it goes down." This logic underlines the well-known fact that when gold rises in value it indicates that other assets are performing terribly and fear is gripping the market. Now Trescothick says it is time to put 10% of your wealth into Bitcoin and hope it doesn't crash. 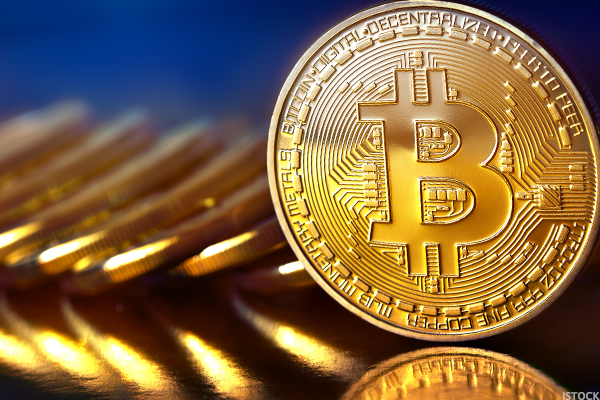 "In the middle of July Bitcoin was trading around $1985 per coin before continuing its rise higher and around the beginning of August it traded at $2789.58 per coin," he said. "And then as hostilities increased between North Korea and the U.S., it skyrocketed. First it broke the $3,000 mark before slicing through the $4,000 level with ease." We saw gold react in a similar way moving from $1,258.80 an ounce at the beginning of August before moving $31 up as threats from both North Korea and Trump gripped the media. Both reacted in safe haven style, but it was the size of the move and the speed of rise in Bitcoin value that was impressive. Forget IPOs: How Do Companies Know If an ICO Is Right for Them? So what are the main advantages of Bitcoin? According to Trescothick, a key bonus is that you can trade Bitcoin 24/7 with no need for a place to keep it physically. Physical gold cannot always be bought instantly, and you need to have a place to store it as it's a physical commodity. "Gold, in terms of an investment, is not available for all, this we logically understand why, but Bitcoin finds better common language with the globe," Danilevski explained. "Precious metals has been always proving its solvency and investment security, whereas Bitcoin is just in the beginning of its way." Danilevski explained that nobody controls gold reserves anymore - as history proves, from 1970 there is no direct security control over it. "Till 1970 Bretton Wood system was at the helm, according to which all main currencies were pegged to the U.S. dollar at $35 per ounce," he said. "This system did not manage to succeed and after its collapse, drifting foreign exchange markets appeared. Dependence on gold reserves evaporated, and exchange rate was regulated by demand and supply." The lack of currency correlation is the key to Bitcoin's investment perceptiveness and its main advantage over gold. "Despite the fact that in 2016 there was a resurgence of interest to precious metals, in the NYSE index for the past five years GLD decreased by 26.5%," Danilevski said. This top forecaster is bearish on Bitcoin. "During the same period, Bitcoin increased by 24,900%," he said. "The figures are not fantastic, considering that at the start of the project very few people were interested in this 'Bitcoin project,'" he added. "Today, the situation has changed dramatically: only for one year the volume of cryptocurrency transactions increased by ten times, and the value of one coin increased by 74.9%. Such an asset still has a small capitalization, but high volatility, especially in comparison with gold." Bitcoin could become more of a partner than a replacement for gold as a safe haven asset. Can Shake Shack Entice the Mainland Chinese to Eat a 'Better Burger'?